A short while ago, we learned that Microsoft’s annual BUILD developer conference would be held this year on June 26th, at the Moscone Center in San Francisco. Further to that report, TheVerge has learned that the Redmond company will use the event as a platform to release a Public Preview of the next release of Windows, codenamed Windows Blue. Citing “sources familiar with Microsoft’s plans", the report also adds that work on the preview version is already underway, and will be available to download in much the same way the Windows 8 Developer, Consumer, and Release Previews were dropped at numerous intervals last year. 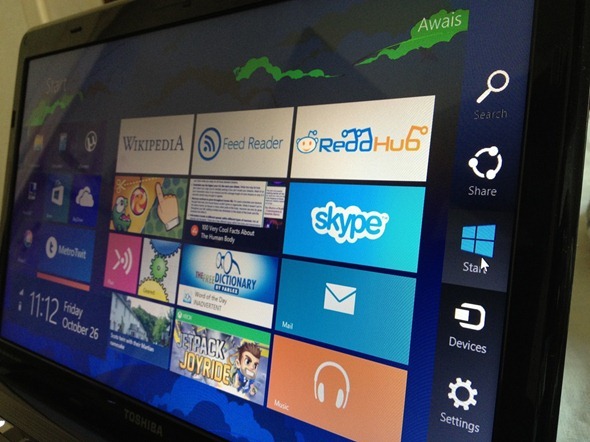 But why would Microsoft begin showing off Windows Blue so soon after the release of Windows 8? Well, it the company is looking to move away from the release cycle of once ever 4-5 years, and instead begin offering cheaper, regular, and less radical upgrades year-on-year. It is a system that’s worked well for Apple and OS X, and seeing as Microsoft is now fighting a software battle on several fronts thanks to the likes of Windows Phone 8 and Windows RT, it’s imperative that the company does its best to remain competitive in a crowded market. Microsoft VP Steve Guggenheimer yesterday acknowledged the existence of Windows Blue, but that name is unlikely to make it to the final, end user build. Whatever name the software maker decides to lend its prized asset, one thing we can be relatively sure of are some of the new features and alterations in store. We’ve already been treated to a hands-on demo of Windows Blue, and with an all-but confirmed late June date for the Public Preview, we won’t have to wait too long before we’ve a more definite idea regarding its features and supported hardware. According to the report, the Public Preview, rather than being a taster leading up to a Consumer / Release Preview, will be the one and only build released prior to the official launch of the next generation of Windows. Shipping at the end of the year, there’s little to go on with regards to pricing, but with this being a comparatively minor release versus 8, 7, Vista and XP, it’s unlikely to cost much more than $25.